Just as hybrids have improved gas mileage in automobiles, the concept of combining logs' inherent thermal properties with other insulating building materials has boosted the energy performance of log homes. The term "hybrid" encompasses a broad range of styles and construction methods. Applied to log homes, it typically means a well-insulated home uses logs for both structural and purely aesthetic purposes. Other times, "hybrid" might refer to stacked-log home that features timber-framing aspects inside. The most common hybrid form is the half-log, or super insulated, home which has been around since the 1970s. It orginated to add comfort in cold climates, but its design versatility made it popular in moderate climates. 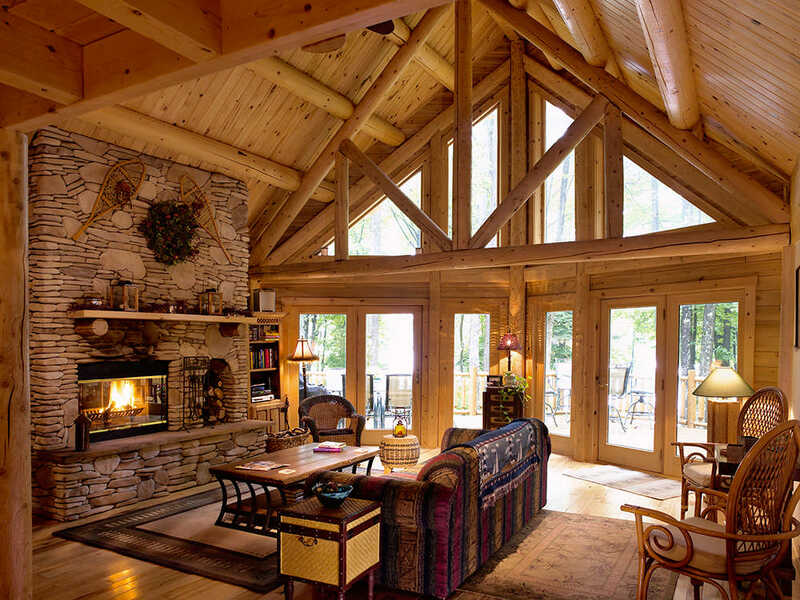 As the popularity of log homes grew in the early 2000s, homebuyers discovered that hybrids allowed them to modify the log look, using logs in a non-structural way to add character and charm to homes, and allowed for design flexibility. Homeowners who choose this method also say it can make finding a builder a bit easier. There are definitely some monetary advantages to hybrid log homes, which typically cost less than handcrafted, full-log home. Acknowledging the consumer-driven log hybrid trend, dozens of log home companies, both manufacturers and handcrafters, now offer homes that combine logs with other building components. To learn more about the advantages of hybrid log homes, download the rest of this comprehensive article.